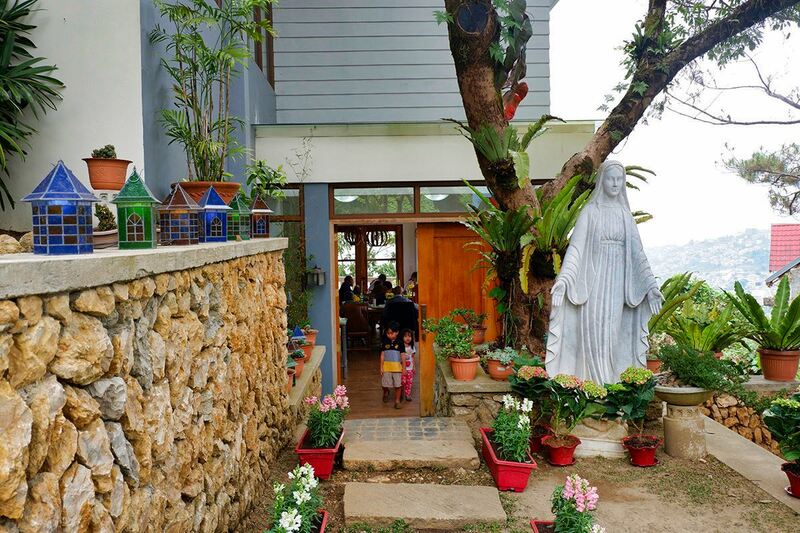 Seeing as Venus Garden is based in my beautiful hometown of Baguio, Philippines, this post tells the story more of a culinary adventure than a travel adventure. 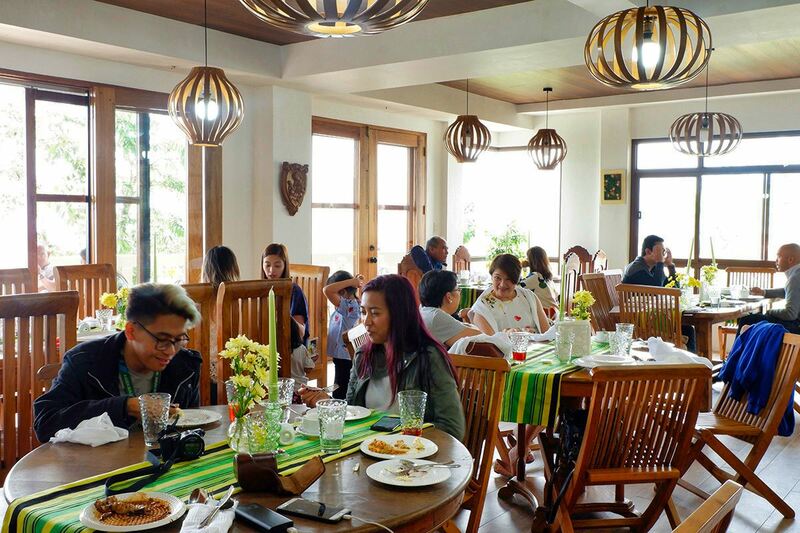 With a weakness for 5 star luxury and another international trip looming around the corner, I decided it was the perfect excuse to seek out another Baguio gastronomic experience at Venus Garden before I leave my hometown once again. 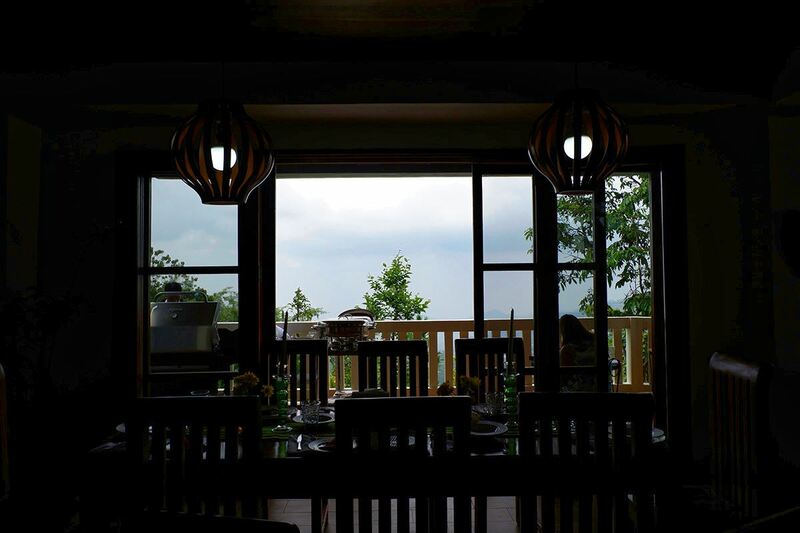 Being the second by reservations only private dining I know in Baguio, I was excited to find out what it had to offer. 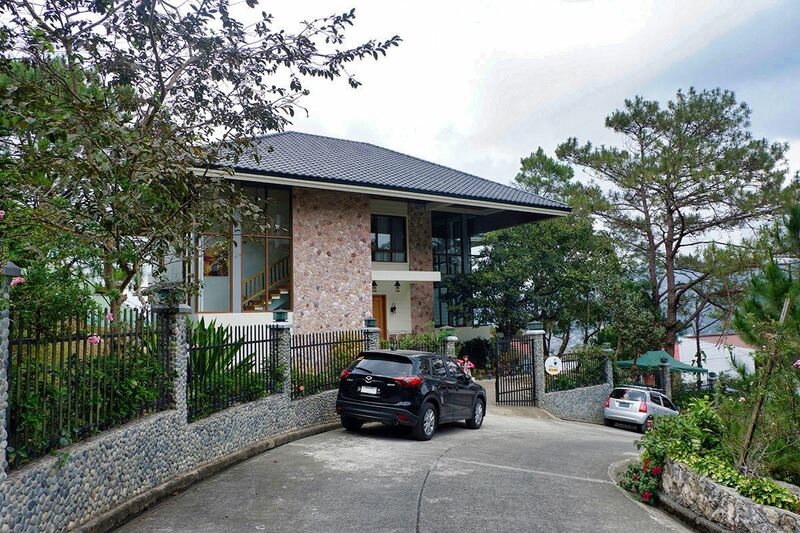 Venus Garden is hard to find on the map and when they told me that it is located overlooking a golf course, I have a feeling that it is located either at Camp John Hay or at Suello Village. But I don't think it's in Camp John Hay, it had to be Suello Village. When I was looking for this gem, I needed to confirm the location. I had to ask directions straight from Venus Garden's Facebook page. I knew it! It's in Suello Village. I immediately hailed a taxi cab from the gates of my apartment to it's location, just in time for lunch time. 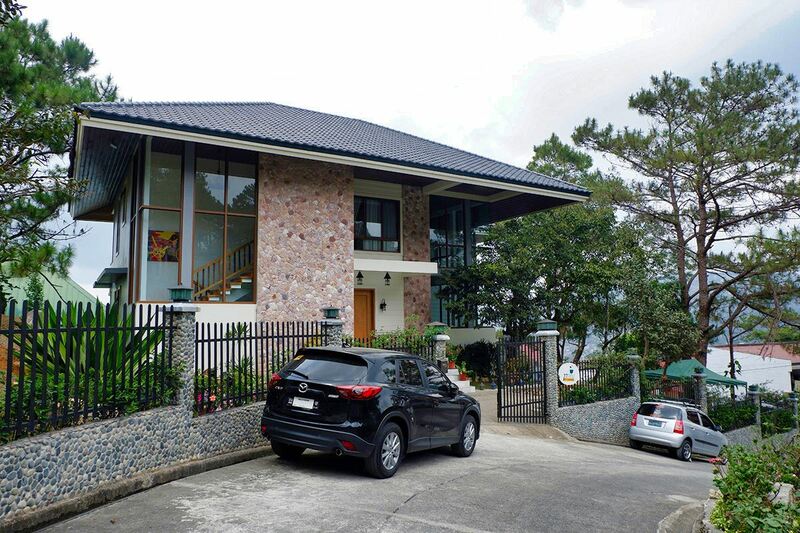 Situated in one of the most sought after real state in Baguio city, the Venus Garden is perched overlooking one of the most scenic golf courses in Baguio City. At first glance, you may think it is just another luxury home but ensconced within this lovely vacation home is a cozy restaurant in the basement, perfectly planned in style. Despite it's amazing views, this private dining can be really tricky to find which means it is tucked away from the hustle and bustle. Upon entering the enclosed property, I was immediately rewarded with vibrant floras in the garden. Walking into the white, light, and bright finish of Venus Garden there is one thing that would strike you. The minimal and airy interiors of the home, the whole design of the house was straight of an interior magazine. 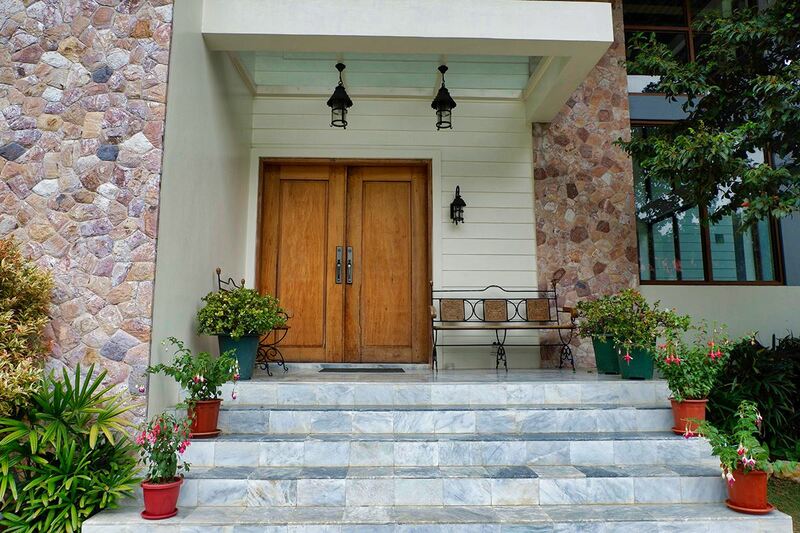 I immediately felt a sense of calm and tranquility and this ambiance oozes throughout the whole property. 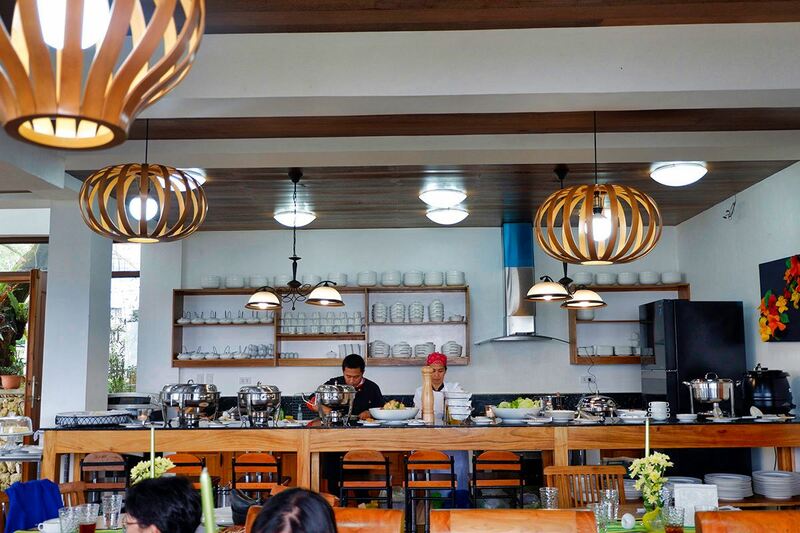 The contemporary yet luxurious style and decor makes for a refreshing change from the more dining establishments in Baguio City. Whilst there was a sublime tasting buffet menu on offer, my food buddies and I have decided to go a la carte so we could pick exactly what we wanted. Choosing what you want to eat can be overwhelming as there's a lot to choose from. I didn't eat any breakfast or any light lunch prior, so I am more than ready for a feast. I absolutely love starting any meal with a good soup and having a weakness for mushrooms, there's no doubt but to grab a bowl of "Cream of Mushroom" which came with plenty of bewildering flavours of pleasure and happiness, just perfect for the cold Baguio weather. I was intrigued by the potato and vegetable contif which complimented the succulent broccoli perfectly. The Baked Penne Bolognese was probably the least flavoursome but a great addition to any palate. Being obsessed with vegetable salads the past few months, I decided to add assorted salad greens on my plate and topped it with my choice of dressing. The creamy balsamic dressing was gorgeous and just enough to leave you wanting more. 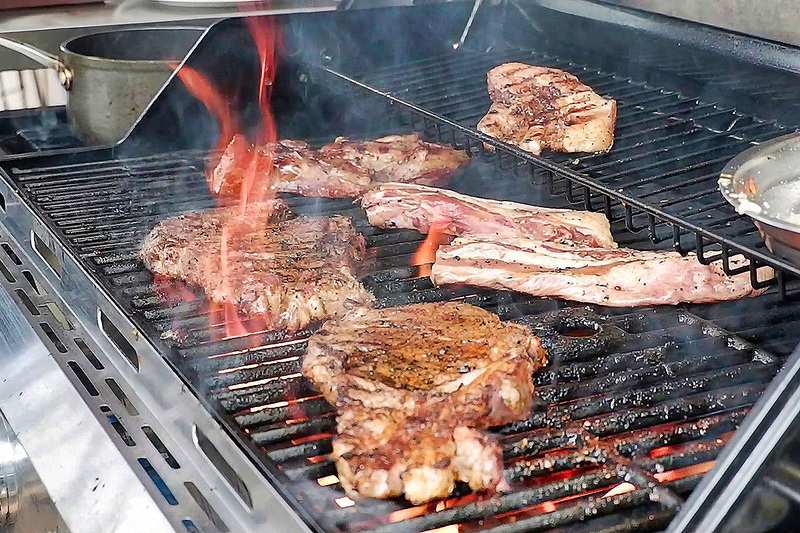 My primal senses was immediately drawn to the grill which was situated on the terrace. The Australian Angus Rib Eye Au Jus, Grilled Herb Garlic Chicken Fillet, Blackened Salmon Fillet, and Grilled Pork Belly is served right in front of our eyes, hot off the grill by Chef Larry Lugo. We can't help it, but we went for all four grubs - it is very tender and it is a melt in the mouth. Whilst the flavor that the charcoal fire gives to the food is fabulous in and of itself, the volume was totally amp up with special sauces on the side for each. I would never normally order dessert at a restaurant. Firstly, because I am usually far too full and secondly because the dessert menu in your typical restaurant is never all inspiring. However, based on the amazing quality of platters, I figured it would be rude not to round off the whole feast with something sweet and I was not disappointed. The best way to describe the strawberries drowned with milky whipped cream was totally indulgent and amazingly delicious, that you could tell were totally fresh. 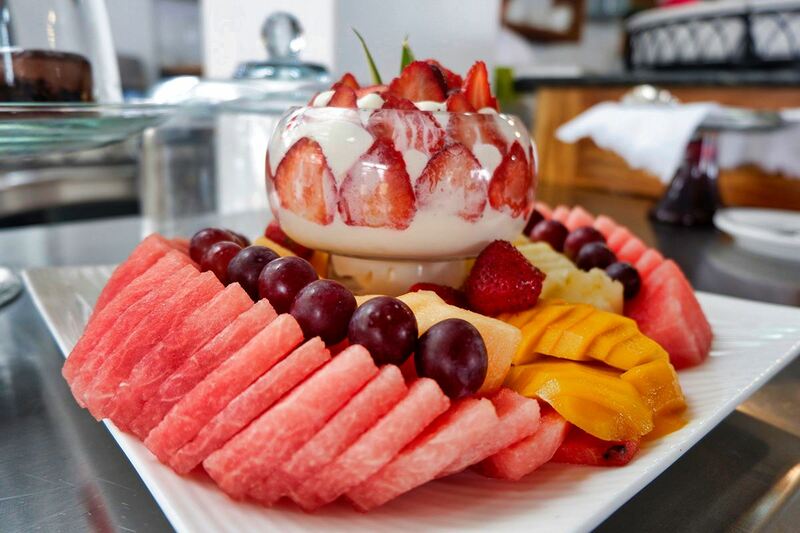 If you've overdone the grilled dishes, this dessert coupled with fresh fruits are ideal option to cool down your palate. I absolutely love them especially, the creme brulee cheesecake and the death by chocolate cake which was a little mouthful of pure heaven. Venus Garden is a reservation only, private dining. They offer special buffet lunches on weekends and special occasions and reservations can be made 3 days in advance with 50% deposit. You may request a customized menu you like with Venus Garden's Chef Larry and Chef Joi - from Filipino, to Japanese, to Italian, to Carribean, to Chinese cuisines - you name it. For now they only accept a minimum of 20 guests bookings. 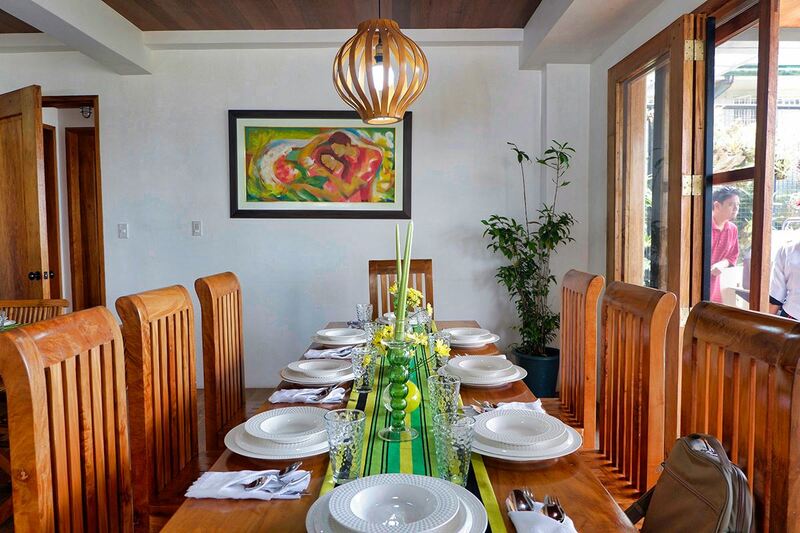 The restaurant basement can accommodate a maximum of 30 guests and 20 in an outdoor under the pine tress. 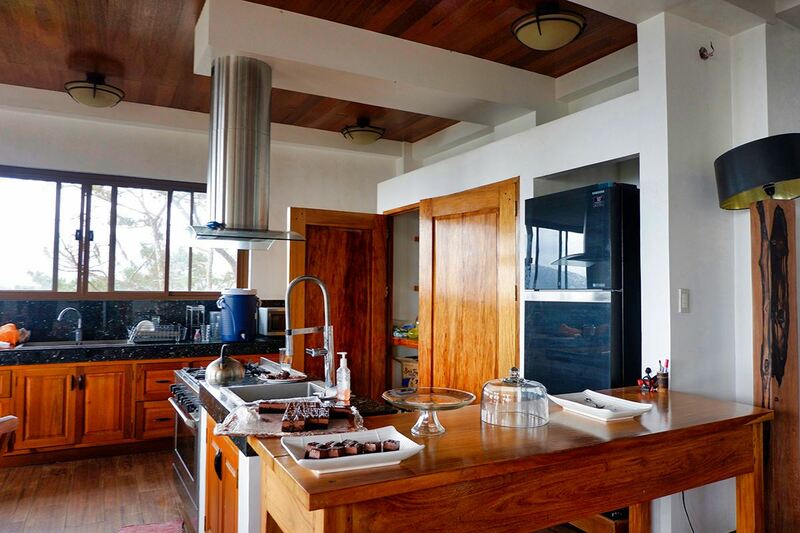 For a much larger group you can use the dining facilities of the main house for some guests. You might want to follow Venus Garden on Facebook for updates. 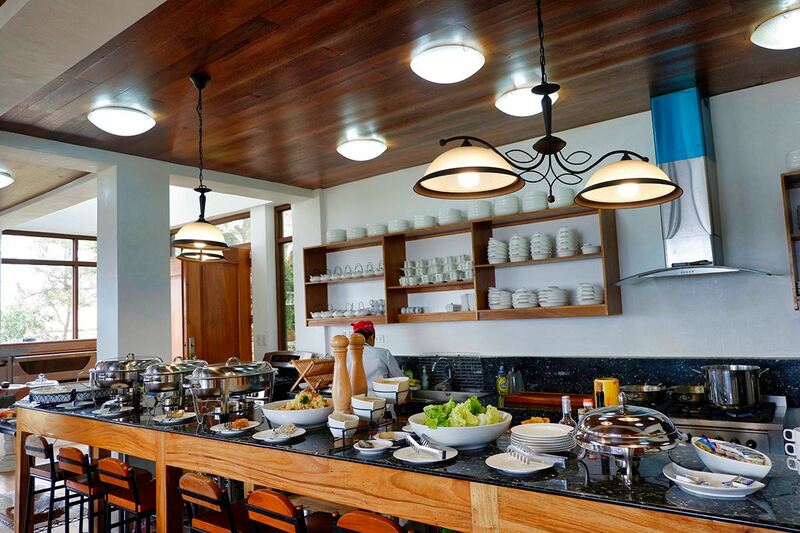 The lunch buffet was literally a heavenly experience as you are among with the clouds from start to finish. 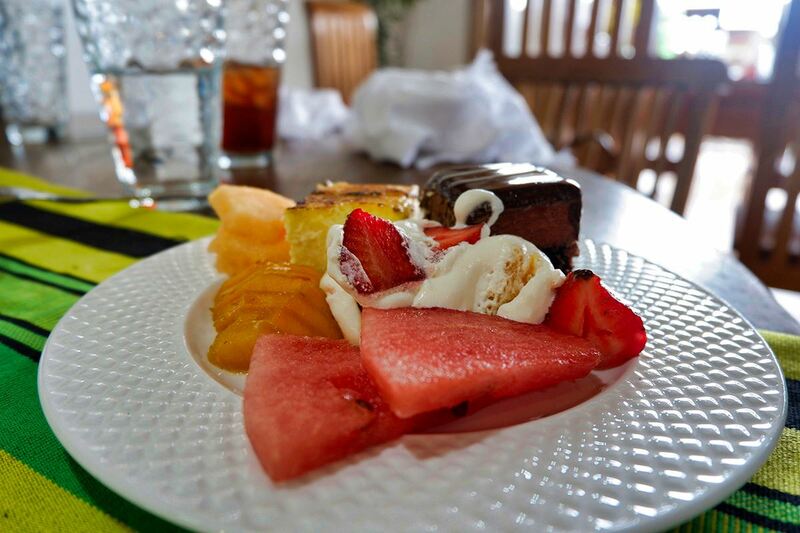 The tranquil atmosphere, charming golf course view, creative savoury and impeccable desserts were spot on. It was the right way to kick off the middle of my busy week in style. 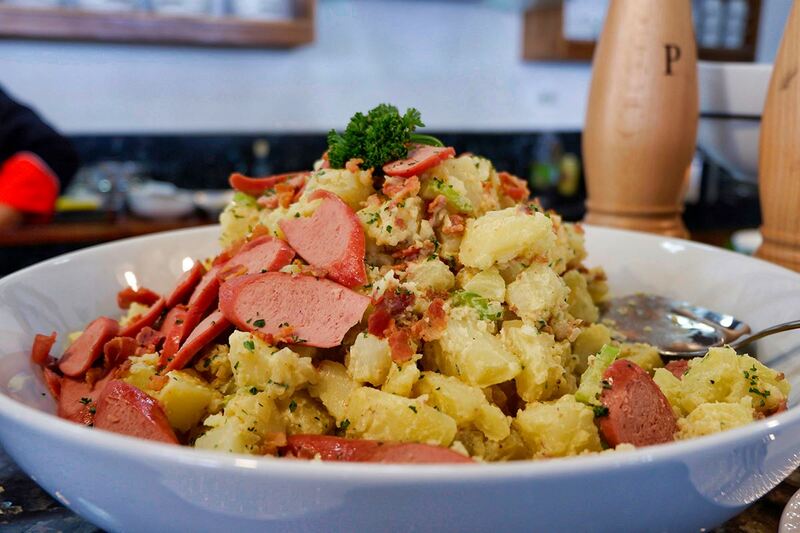 If your're looking for an off-the-beaten-path dining and a menu that changes with the season, then Venus Garden is for you - allowing hungry travelers with a taste for something special to sneak away and enjoy authentic cuisine that most people never get to experience. And if you're also looking to tick off a by reservation only, private dining for special occasions and big events from your bucket list, you've hit the jackpot! What did you think of my Venus Garden restaurant review? 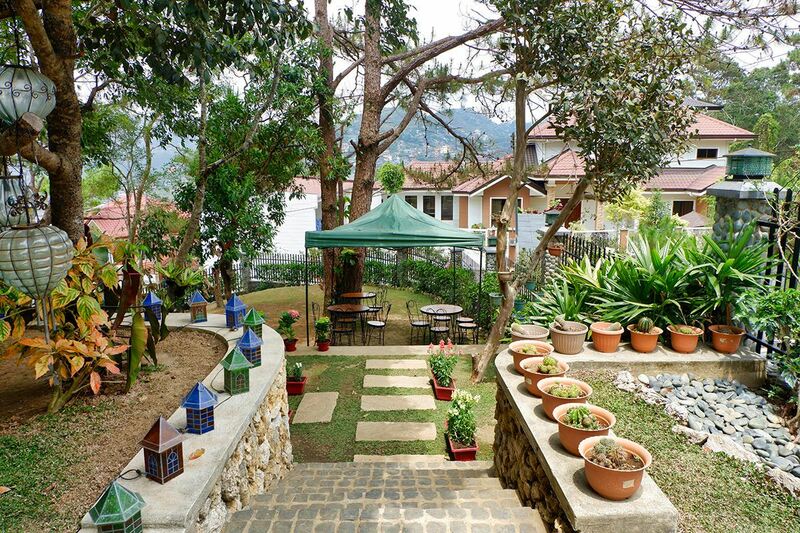 Have you been to Venus Garden or are you planning to try it for yourself? If you enjoyed this post or have any more questions about my experience, please do leave me a comment in the box below! 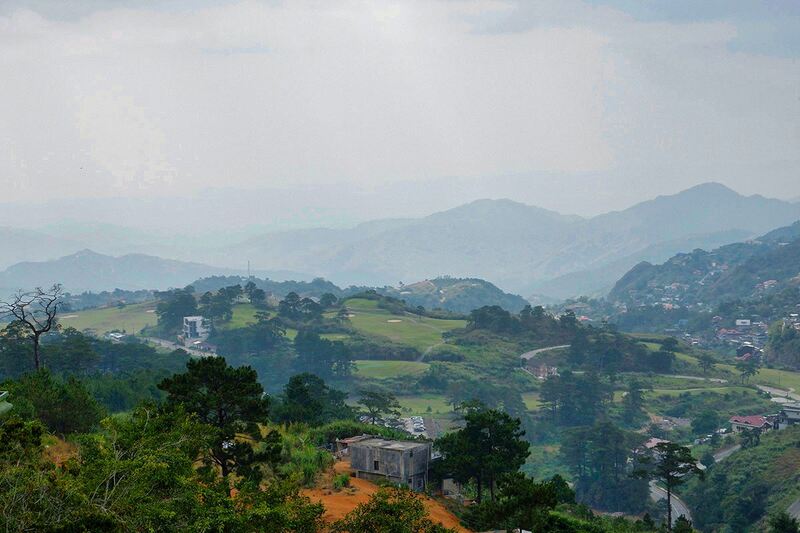 Want to read more of my Baguio reviews? I was hosted at Venus Garden on a complimentary basis in exchange for this restaurant review. All views are my own. I find it's the tucked away places that offer the best experiences. It looks really nice here and great for families to visit. Dessert usually means chocolate for me. Though the fruit bowl you had looks appealing as well.